There are a TON of Android phone manufactures in the world. Yet, here in the US, only three have wide enough appeal to have their flagship devices sold by all 4 major US carriers (well, in HTC's case 3 out of 4). Those manufacturers are, of course, Samsung, LG, and HTC. 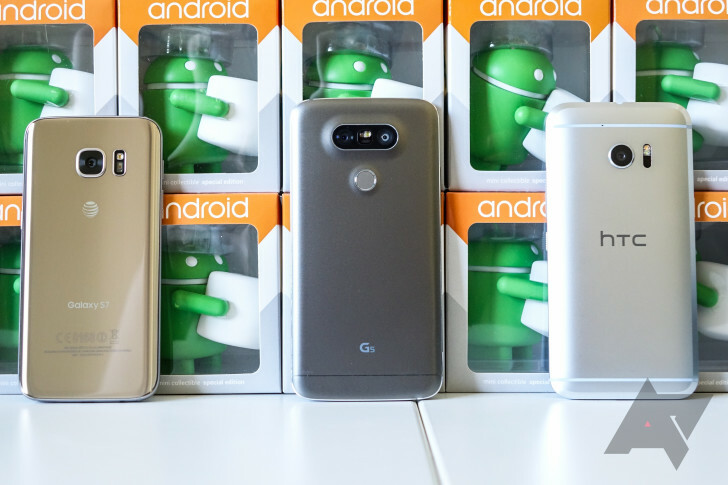 Now that their 2016 flagships, the Galaxy S7/S7 Edge, LG G5, & HTC 10 have all been announced, many of you will be tasked with the unenviable mission of deciding which of these three devices will be your next phone. To help you with that decision, I've prepared a comparative spec chart so you can see how these three devices measure up to one another. As you can see, each phone has a feature or two that sets it apart from the crowd. Deciding which features are most important is a personal decision, but that won't stop you all from telling one another what to think in the comments below, so proceed! I'm going to go get some popcorn. Specs listed are from the models sold in the US for ease of comparison. Certain components and features may vary by region.